Second, the principles of the Agenda (universality, indivisibility, leave no one behind, participation, accountability) and the Sustainable Development Goals (SDGs) need to be recognized as guiding all policy fields, for both domestic and internationally-oriented policies, taking into account different national capacities, policies and priorities. Third, all forms and forums of international cooperation must contribute to implement the 2030 Agenda, not just North-South cooperation, but also North-North, South-South and triangular cooperation in all relevant policy fields. International finance and development institutions (bi-lateral and multilateral) must play an enabling role for the implementation of the 2030 Agenda. SDGs 10 and 17 specify targets to be reached in order to make global economic governance and international cooperation fit for the 2030 Agenda. The G20 spans across North and South and represents sizable shares of global population and world economic activity, as well as of the global ecological footprint. As a forum that concentrates on reforming global economic governance and coordination, it has a specific responsibility as well as opportunities and levers to promote the implementation of the Agenda in an integrated and balanced manner. Assisting in the delivery of 2030 Agenda related activities, working closely with other G20 work streams in the Sherpa and Finance tracks, (…). This mandate clearly shows that in Hanghzou Leaders ascribed to the DWG a new elevated and overarching function that is underpinned by both a strategic commitment and leadership of Sherpas. The DWG should work hard to live up to the new task and review its composition and working methods e.g. with regard to other workstreams accordingly. It is of crucial importance that G20 delegations to the DWG include also representatives from those government departments that are responsible for the overall implementation of the 2030 Agenda in the G20 countries. Consideration should be given to highlight the new role of the group by giving it a new name like Sustainable Development Working Group (SDWG). The recommendations given in this policy brief include specific proposals for the upcoming summit as well as action that will require several years for being implemented with a view to promoting the transformative change that the 2030 Agenda calls for. In 2017 the G20 needs to show a strong renewal of its commitment to the implementation of the 2030 Agenda, as done in Hangzhou 2016 with the Action Plan. The Sherpas, the DWG and other work streams have a specific responsibility in this respect, as identified in the 15 Sustainable Development Sectors of the Action Plan. Reference to the 2030 Agenda should appear in the G20 communiqué in order to emphasize its relevance, inter alia for job creation and income generation, reduction of poverty and inequality, enhancing global trade and economic cooperation, and protecting the Earth’s climate and its ecosystems, globally and in each G20 country. The Sherpas and DWG should elaborate and adopt an update of the G20 Action Plan of 2016 with specific collective actions. In Annex B of the Action Plan all G20 members have presented first outlines on national actions. They should commit to update these outlines by the 2018 G20 Summit. The DWG should prepare a template for this. G20 countries should remain engaged in the reporting process in order to manifest leadership by example and maintain the momentum of reporting and learning. The G20 should commit to deliver – as a group – a voluntary report on the G20 contribution to the implementation of the Agenda in due course in the run-up to the 2019 HLPF at Leaders’ level. The G20 should elaborate tangible steps to reform international cooperation for the effective delivery of the 2030 Agenda while taking into consideration existing commitments and differences in resources and capabilities between countries. Due to the universality and indivisibility of the Agenda, these principles apply to all relevant policy fields across the three dimensions of sustainable development – economic, social and environmental –, an argument that reinforces the link between domestic implementation and reforms of international cooperation. In the context of partnerships, international cooperation will have to change its one-way approach from developed to developing countries and move towards reciprocity. North-North cooperation will be an important pillar of implementation. Reforms by G20 should put a specific focus on global economic governance and coordination. G20 countries should agree on collective and individual action that help with the implementation of SDG 17 and SDG 10 where they refer to global economic governance and coordination, specifically with regards to both the provision of global public goods, and the adoption of integrated solutions to eradicate poverty, combat inequality within and among countries, preserving the planet and foster social inclusion. attain long-term debt sustainability: establish a comprehensive global debt governance framework including instruments to prevent and resolve debt crisis such as principles for responsible lending and borrowing or an insolvency procedure for sovereign states (17.4) (10). While recognizing the universality and indivisibility of the 2030 Agenda, the G20 should renew its commitment to the United Nations reasserting its key role for the implementation of the SDGs. The principles of universality and indivisibility and the imperative of integration enacted by the 2030 Agenda require a profound transformation of the United Nations Development System (UNDS). (10) A strengthened UNDS should enable the integration between the economic, social and environmental dimensions of sustainable development, thereby addressing systemic interlinkages, reducing fragmentation and fostering developmental partnerships. Such reform requires a collective effort both to adjust UNDS governance procedures, aligning the intergovernmental and executive lines of authority, as well as to overcome systemic fragmentation and overlaps. Furthermore, the UNDS needs to secure a significant amount of core funding in order to support a universal agenda. Consideration should be given to change its name into UNSSD (United Nations System for Sustainable Development) and to adapt its mandate accordingly. 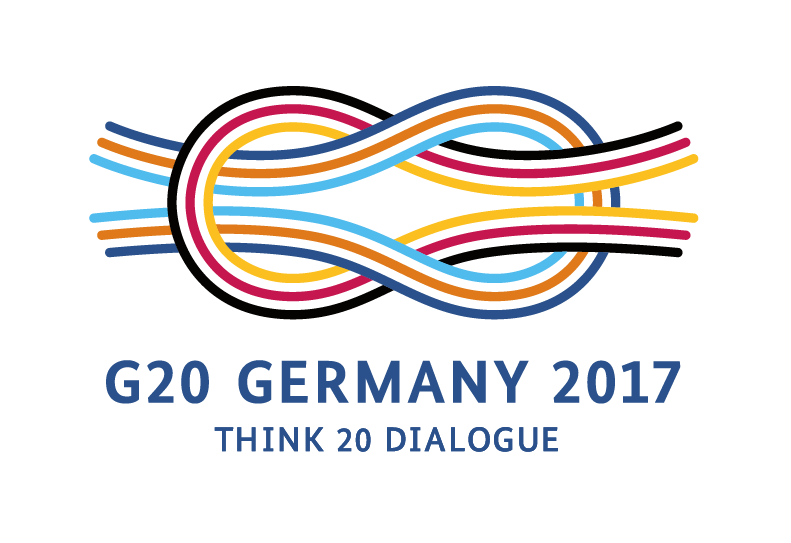 G20 members are fundamental for advancing innovation, technology transfer and capacity development towards 2030 Agenda implementation. The DWG should describe the activities it wants to undertake with a view to its function as a dialogue platform within and beyond the G20 for sustainable development. These should include regular dialogue events with the G20 engagement groups and with line ministries beyond those responsible for development cooperation. It could articulate the transnational business case for SDG implementation together with B20, C20, L20, W20 and T20 by drawing on successful examples from public health, education, environment and other fields, with a particular focus on overcoming the perceived first mover advantage. It could engage with universities, research institutes, business and civil society organizations through an open process to accelerate the monitoring, reporting and verification of the progress and practical problem-solving to achieve SGD targets; in particular, the DWG could engage with the T20 network to identify and promote those initiatives that can have transformational impacts. These dialogue activities could be aligned with the topics foreseen at the annual HLPF meetings (SDG 17.16, 17.17). the DWG should specify how its members could support statistical capacity building in low income and developing countries relevant for designing national plans to implement the SDGs and effective and targeted policies as well as for reporting on progress (17.9, 17.18 and 17.19) (12); further the DWG should engage in the promotion of appropriate regulatory strengthening and skill development for SDG implementation as an important complement to international funding. Considering the growing relevance of Multilateral Development Banks (MDBs, incl. those set up only recently) in the field of financing sustainable development, the G20 should start a dialogue on the potential adoption of SDG-related standards and policies by these financial institutions and the IMF. International and national finance institutions should also develop strategies to harness the potential of the financial markets in financing sustainable development. Furthermore, as MDBs are emphasizing the need of strengthening national systems to cope with socio-environmental standards, the G20 should set up an agenda for the adaptation of national systems as SDGs enablers. While recognizing the United Nations unique significance for the implementation of the 2030 Agenda, G20 members should adopt these reform steps for their own cooperation policies by 2018. The G20 countries should take initiatives for integrating and mainstreaming the 2030 Agenda in all national and international forums where they are active to amplify the multiplier effect (i.e. EU, NAFTA, African Union, APEC, ASEAN, BRICS and G7 summits, UN and IFIs). The G20 countries should also facilitate the engagement of emerging economies and other developing nations in traditional forums of international cooperation. Furthermore, the G20 members should support the development of interconnected mechanisms across these respective forums of international cooperation so that their synergies could be utilized to fill-in financing, technical capabilities and capacity-building deficits as far as the 2030 Agenda is concerned. The G20 should clearly convey a sense of urgency and an understanding of the need for expediency in order to achieve the goals by 2030. Implementation of the specific proposals in this policy brief would facilitate progress in implementation and be an important contribution of the G20 and beyond to maintain the space for international cooperative action for the benefit of human prosperity while safeguarding the earth’s ecosystems. The content of this policy brief is the responsibility of the authors. We thank for helpful discussions with the members of the task force and specifically for comments by: Ram Upendra Das (Research and Information System for Developing Countries (RIS), India), Rainer Thiele (Institute of the World Economy (IfW, Germany), Manuel Montes (South Centre), Ali Mehdi (ICRIER, India), YANG Quingqing (Renmin University of China, China), Mehmet Arda (EDAM, Turkey), Gala Diaz Langou (CIPPEC, Argentina), André Coelho (FGV, Brazil), Kathrin Berensmann (DIE, Germany), Andrea Ordóñez (Southern Voices, Ecuador), Rebecka Villanueva Ulfgard (Instituto Mora, Mexico). The T20 Task Force on 2030 Agenda for Sustainable Development is co-chaired by Imme Scholz (German Development Institute / DIE, Bonn, Germany), CHEN Dongxiao (SIIS, Shanghai, China) and Jann Lay (GIGA, Hamburg, Germany). Members of the Task Force are: Tony Addison (UNU-WIDER, Finland), Elena Agüero (Club of Madrid, Spain), Nancy Alexander (Heinrich Böll Foundation, USA), Venkatachalam Anbumozhi (Economic Research Institute for ASEAN and East Asia / ERIA, Indonesia), Francisco Andrés (Real Instituto Elcano, Spain), Mehmet Arda (EDAM, Turkey), Nils aus dem Moore (Rheinisch-Westfälisches Institut für Wirtschaftsforschung, Germany), Belay Begashaw (SDG Center Africa, Rwanda), Tom Bigg (IIED, United Kingdom), Colin Bradford (Brookings, USA), Clara Brandi (German Development Institute / DIE, Germany), Ingo Bräuer (Potsdam-Institut für Klimafolgenforschung (PIK), Germany), Celine Charveriat (IEEP, Belgium), Andre Coelho (FGV, Brazil), Aart De Geus (Bertelsmann Stiftung, Deutschland), Gala Diaz Langou (CIPPEC, Argentina), Carlos Dominguez (Instituto Mora, Mexico), Matthew Doherty (Sovereign Strategy, UK), Edna Martinez (UNDP Mexico, Mexico), Paulo Esteves (BRICS Policy Center, Brazil), Güven Sak (TEPAV, Turkey), Alejandra Kern (CARI, Argentina), KIM Heungchong (Korea Institute for International Economic (KIEP), Korea), Richard Klein (SEI, Sweden), Daniel Klingenfeld (Potsdam-Institut für Klimafolgenforschung (PIK), Germany), Adolf Kloke-Lesch (SDSN, Gemany), Christian Kroll (Bertelsmann Stiftung, Germany), LI Yuefen (South Centre, Switzerland), Faith Mabera (Institute for Global Dialogue, South Africa), MAO Risheng (IWEP, China), Thomas Mättig (FES, Germany), Ali Mehdi (Indian Council for Research on International Economic Relations (ICRIER), India), Suguru Miyazaki (Kyoto University, Japan), Manuel Montes (South Centre, Philippines), Konar Mutafoglu (IEEP, Belgium), Philani Mthembu (Institute for Global Dialogue, South Africa), Shingirirai Mutanga (Human Sciences Research, South Africa), Archna Negi (Jawarharlal Nehru University, India), Andrew Norton (IIED, United Kingdom), Iliana Olivié (Real Instituto Elcano, Spain), Yulius Purwadi Hermawan (Catholic University Jakarta, Indonesia), Ortwin Renn (IASS, Germany), Sachin Chaturvedi (RIS, India), Jeffrey Sachs (SDSN, USA), Hubert Schillinger (FES, Germany), Guido Schmidt-Traub (SDSN, France), Ole Jacob Sending (NUPI, Norway), Aniket Shah (SDG Center Africa, Africa), Jose Siaba Serrate (CARI, Argentina), Elizabeth Stuart (ODI, United Kingdom), Ulf Sverdrup (Norwegian Institute for International Affairs / NUPI, Norway), Rainer Thiele (IfW, Germany), Ram Upendra (Research and Information System for Developing Countries, India), Rebecka Villanueva Ulfgard (Instituto Mora, Mexico), Martin Visbeck (Geomar, Germany), XU Qiyuan (IWEP, CASS, China), XUE Lan (Tsinghua University, China), YANG Qingqing (Renmin University of China (RDCY), China), YE Jiang (SIIS, China), YU Hongyuan (SIIS, China), ZHANG Haibing (SIIS, China), ZHOU Taidong (DRC, China), ZHU Jiejin (Fudan University, China), Siphamandla Zondi (Institute for Global Dialogue, South Africa). In 2016, China, France, Germany, Korea, Mexico and Turkey (plus Estonia and Finland from the EU) reported at the HLPF; in 2017, Argentina, Brazil, India, Indonesia, Italy, and Japan are on the HLPF list (plus Belgium, Denmark, Luxemburg, The Netherlands, Portugal and Sweden from the EU). G20 countries that have not yet indicated interest in reporting at the HLPF are Australia, Canada, Russia, Saudi Arabia, South Africa, the UK and the US. ITC/WTO/UNCTAD (2016): Trade as an engine for development, Geneva; UNEP (2015): Sustainable Trade and Investment. Achieving the Sustainable Development Goals, UNEP: Geneva. 10. Stiglitz, J. / J. A. Ocampo / M. Guzman (2016): Too Little, Too Late. The Quest to Resolve Sovereign Debt Crises, Columbia University Press, pp. 312, New York; Berensmann, K. / A. Herzberg (2009): International sovereign insolvency procedure: a comparative look at selected proposals, in: Journal of Economic Surveys, pp. 856-881, Wiley-Blackwell Publishing Ltd.
Cf. the Partnership for Review of the BMZ.